This is the color version of the current squadron patch for the 1st Fighter Squadron stationed at Tyndall AFB, FL. 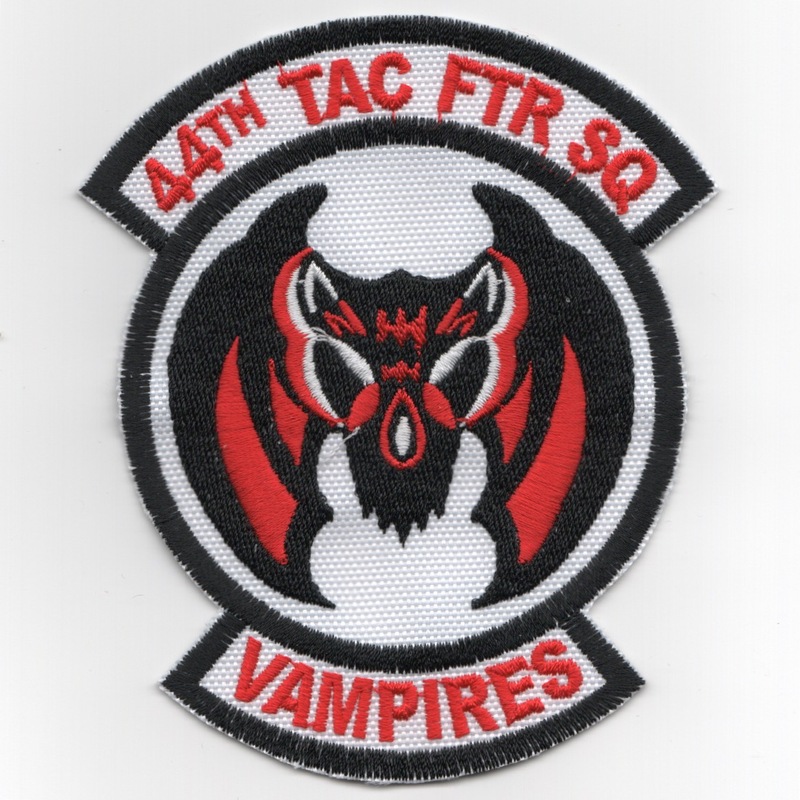 This is the subdued version of the current squadron patch for the 1st Fighter Squadron stationed at Tyndall AFB, FL. This is the color version of the current squadron patch for the 2nd Fighter Squadron who are known as the "American Beagle Squadron" and are stationed at Tyndall AFB, FL. This is the subdued version of a current squadron patch for the 2nd Fighter Squadron who are known as the "American Beagle Squadron" and are stationed at Tyndall AFB, FL. This is the "No Nazi/Hot Babe" patch for the 2nd Fighter Squadron who are known as the "American Beagle Squadron" and are stationed at Tyndall AFB, FL. 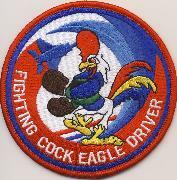 This is the "ABS Eagle Driver" patch for the 2nd Fighter Squadron who are known as the "American Beagle Squadron (ABS)" and are stationed at Tyndall AFB, FL. This is the "American Beagles" version of the current squadron patch for the 2nd Fighter Squadron who are known as the "American Beagle Squadron" and are stationed at Tyndall AFB, FL. 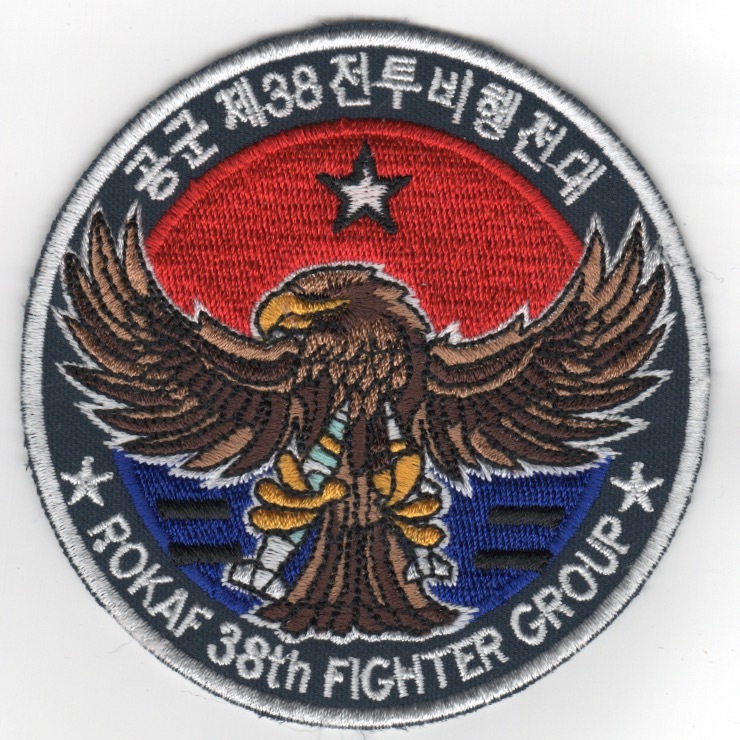 (Korean): The Republic of Korea Air Force (ROKAF) also known as the ROK Air Force, is the aerial warfare service branch of South Korea, operating under the South Korean Ministry of National Defense. Over 180 KF-16 fighters of F-16 Block 52 specifications were introduced as part of the Peace Bridge II & III program from 1994. The last of the old South Korean F-5A/B fighters were all retired in August 2007, and they were replaced with the F-15K and F/A-50. This patch was found in a Korean embroidery shop in very limited quantities, has the "in-theater-made" feel to it, and does not come with velcro attached. (Korean): The Republic of Korea Air Force (ROKAF) also known as the ROK Air Force, is the aerial warfare service branch of South Korea, operating under the South Korean Ministry of National Defense. Over 180 KF-16 fighters of F-16 Block 52 specifications were introduced as part of the Peace Bridge II & III program from 1994. The last of the old South Korean F-5A/B fighters were all retired in August 2007, and they were replaced with the F-15K and F/A-50. 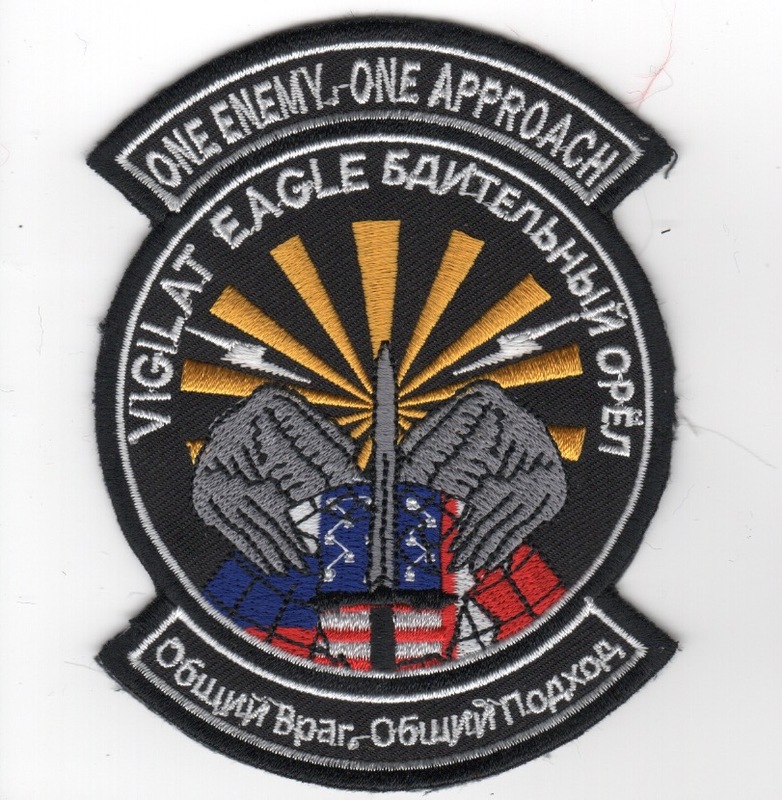 This patch was created for them and says "ONE ENEMY, ONE APPROACH" (top) with Cyrillic text (Russian) elsewhere on the patch. I found this in a Korean embroidery shop in very limited quantities, has the "in-theater-made" feel to it, and does not come with velcro attached. 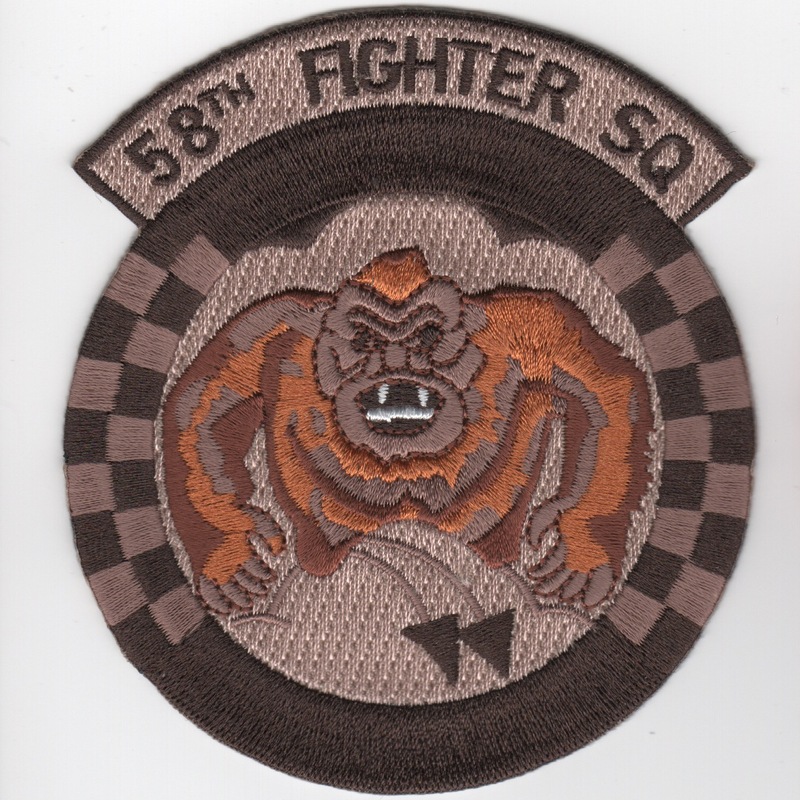 This is the desert version of the Operation Iraqi Freedom patch for the 58th Fighter Squadron "Gorillas". 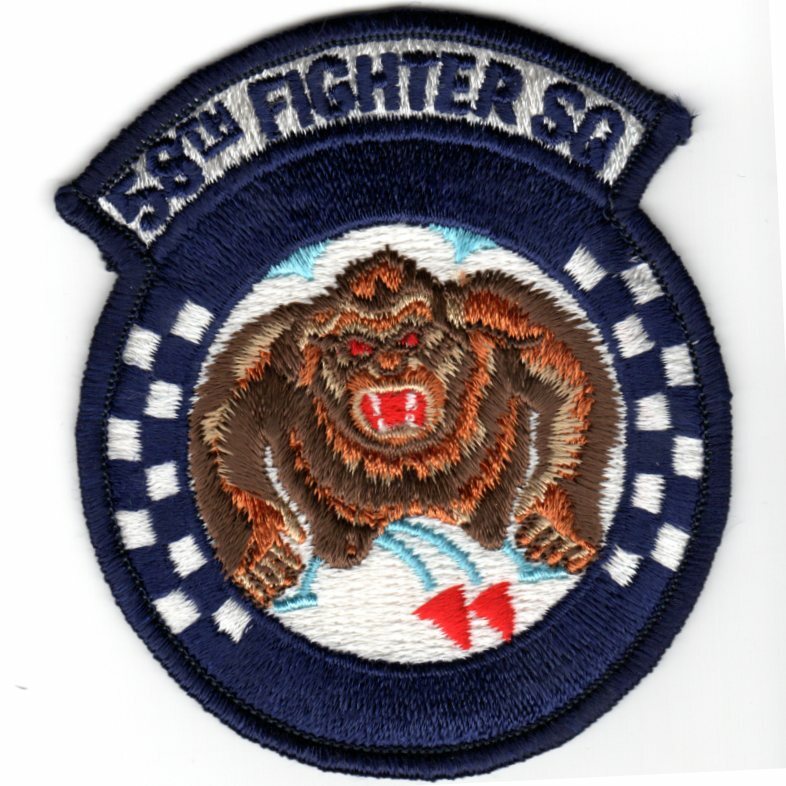 This is the desert version of the "Gorilla Bright Star 2005" patch for the 58th Fighter Squadron "Gorillas". 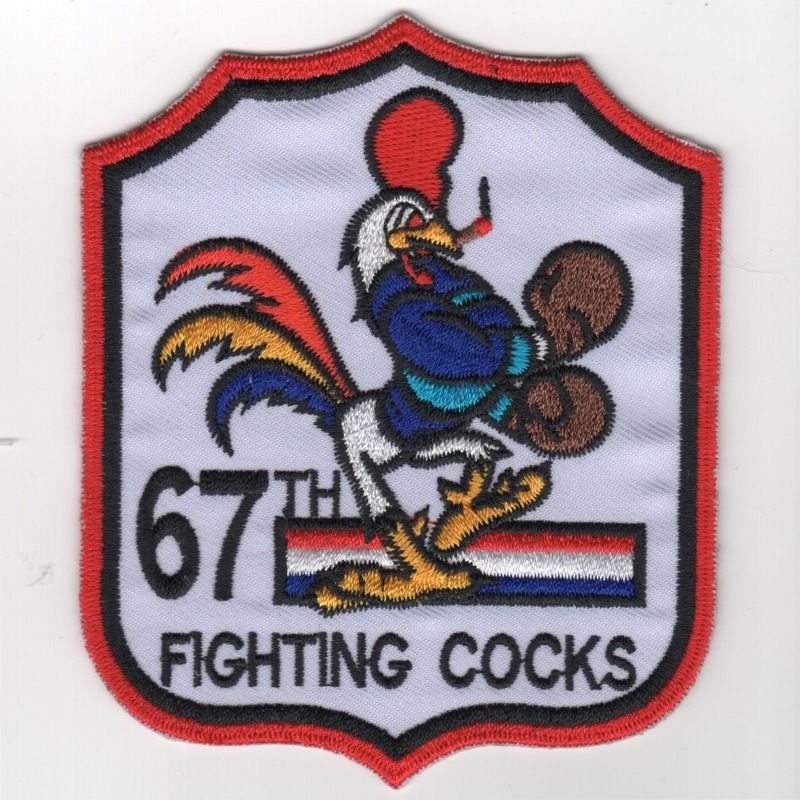 This is the color version of the squadron patch for the 67th Fighter Squadron that flies the F-15C Eagle for the South Carolina ANG. 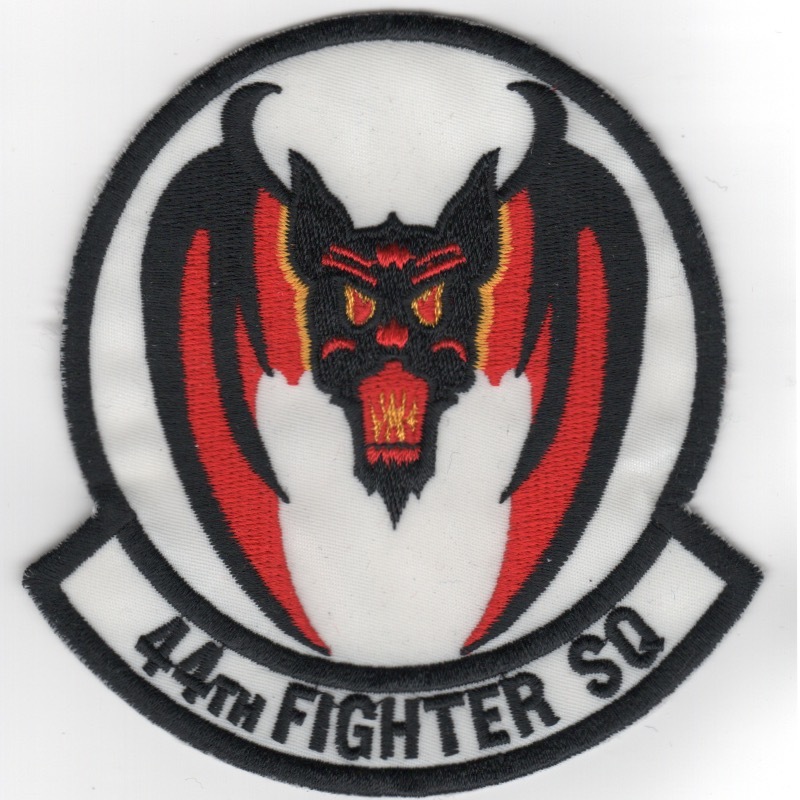 This is a squadron patch for the 94th Fighter Squadron and says "SPAD EAGLE DRIVER" at the bottom. The 94th Fighter Squadron is tasked to provide air superiority for the United States and allied forces by engaging and destroying enemy forces, equipment, defenses or installations for global deployment as part of the 1st Fighter Wing. The squadron flies one of today's most advanced air dominance fighters, the F-22A Raptor, being the USAF's second operational F-22 squadron in 2006. 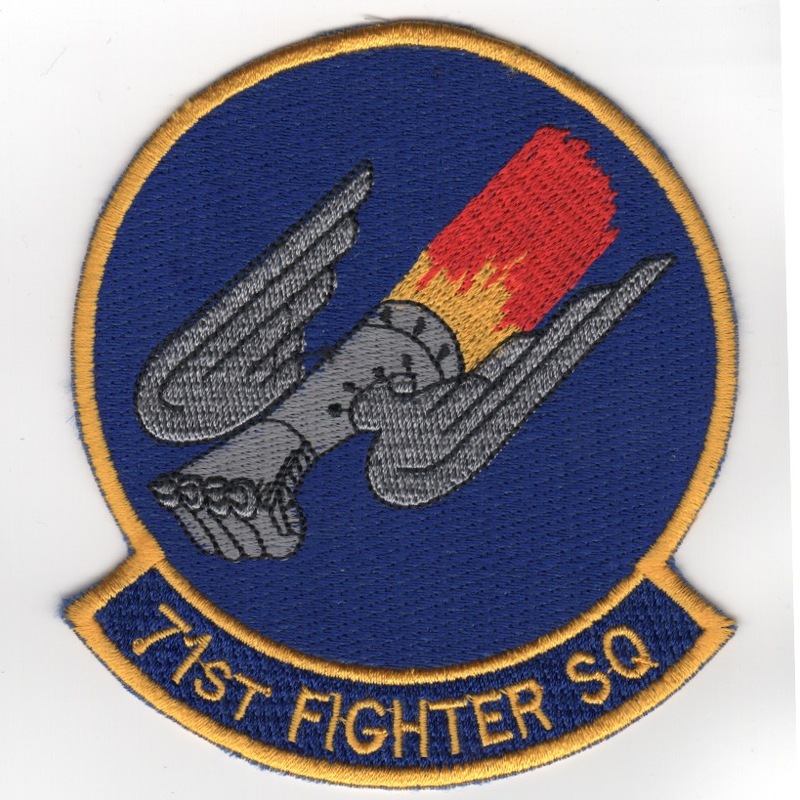 94th FS aircraft, like other aircraft from the 1st Fighter Wing, have the tail code "FF".